Whether you are studying for personal growth, writing a sermon or teaching others, these handbooks provide the background and analysis you need to fully understand any passage in the Old Testament. Each volume provides commentary and analysis of key issues, themes, theology, etc. that is appropriate for the section of the Old Testament they cover. 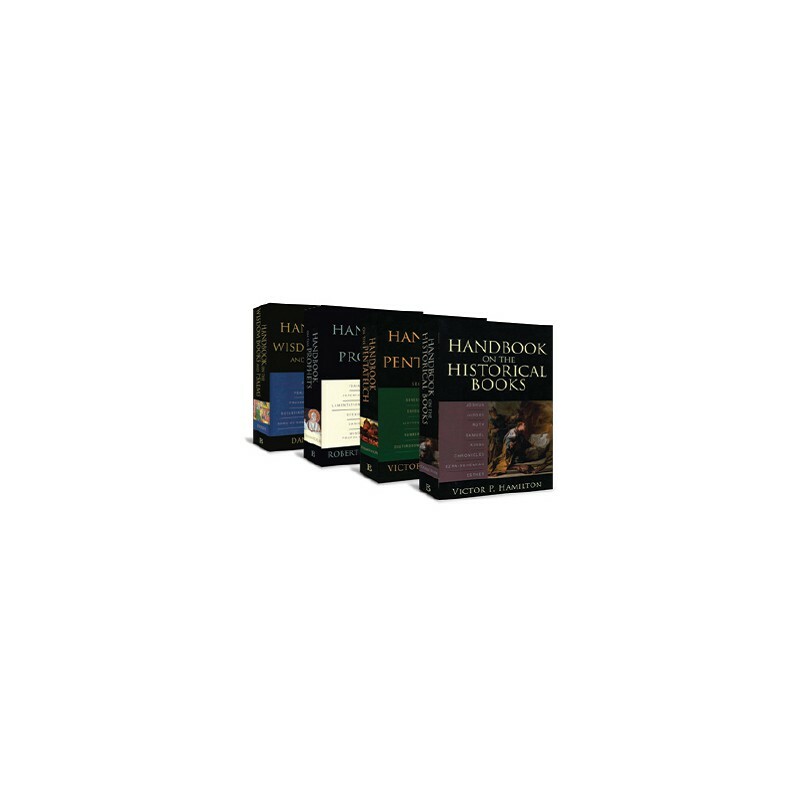 Explore the Old Testament with this Trusted Four-Volume Handbook Collection! Whether you are studying for personal growth, writing a sermon or teaching others, these handbooks provide the background and analysis you need to fully understand any passage in the Old Testament. The four volumes cover the entirety of the Old Testament from the Pentateuch to the Minor Prophets. Each volume provides commentary and analysis of key issues, themes, theology, etc. that is appropriate for the section of the Old Testament they cover. Popular in the seminary classroom, these volumes give you both overview and detail on the Bible text along with suggestions for further study. Handbook on the Pentateuch, 2nd Ed. 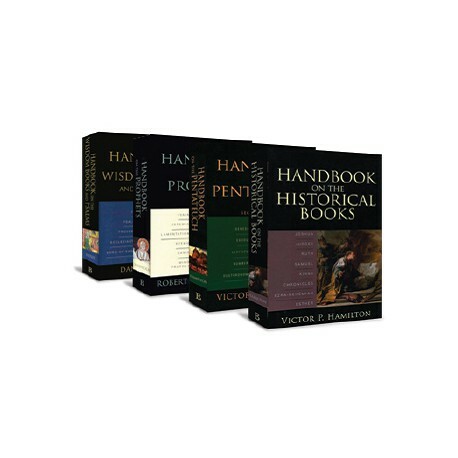 For more than twenty years, Victor Hamilton's handbook has been introducing students to the Pentateuch. In this substantially revised second edition, Hamilton moves chapter by chapter (rather than verse by verse) through the Pentateuch. He examines the content, structure, and theology and provides useful commentary on overarching themes and connections between Old Testament texts. For those who wish to do additional research, each chapter is appended with a bibliography of recent, relevant scholarship. The first edition has sold over sixty thousand copies. From the tumbling walls of Jericho to a Jewish girl who became the queen of Persia, the historical books of the Bible are intriguing and unquestionably fascinating. In this companion volume to his Handbook on the Pentateuch, veteran Old Testament professor Victor Hamilton demonstrates the significance of the messages contained in these biblical books. To do so, Hamilton carefully examines content, structure, and theology using rhetorical criticism, inductive Bible study techniques, published scholarship, archaeological data, word studies, and text-critical evidence. Hamilton details the events and implications of each book chapter by chapter, providing useful commentary on overarching themes and the connections and parallels between Old Testament texts. Using theological and literary analysis, this comprehensive introduction examines historical issues, attempting to uncover and discover their thrust and theological messages. For those who wish to do additional research, each chapter is appended with a bibliography. Undergraduate students of advanced biblical studies will find this volume enlightening and helpful as they forge their way through the historical books, and pastors will find useful insight for their encounter with and exposition of this portion of Scripture. By Robert B. Chisolm, Jr. The prophetic books of the Bible contain some of the most difficult passages in the entire Old Testament and can prove especially confusing for those new to this corpus. Handbook on the Prophets offers a thorough and insightful introduction for the beginning student of the Old Testament prophetic literature. Robert Chisholm guides students through the important and often complex writings of Isaiah, Jeremiah and Lamentations, Ezekiel, Daniel, and the Minor Prophets. Rather than attempting to provide a detailed verse-by-verse commentary, the handbook focuses on the prevailing themes and central messages of the prophetic books. Chisholm begins each chapter with a brief analysis of the social and historical setting of the book under discussion. As he works through each of the writings, Chisholm describes the structure, content, and important concepts found therein. Without becoming mired in overly technical issues or academic jargon, Chisholm considers critical issues whenever they are important for the interpretation of a particular passage. In general, however, he focuses more broadly on the theological themes that characterize the work as a whole. In each case, he considers how the message of the prophets would have been heard in their respective historical communities and the prophets' continuing importance for contemporary study. In addition to those who are new to the prophets, seminarians and students of advanced biblical studies will find this volume enlightening and helpful as they forge their way through the prophetic books. Handbook on the Prophets will also be a valuable resource for pastors and teachers to refer to in their teaching and exposition of this portion of Scripture. The value of the handbook is further enhanced by the extensive bibliographies that are provided for continued study. In this work, Daniel Estes introduces students to the Old Testament poetical books--Job, Psalms, Proverbs, Ecclesiastes, and Song of Songs. Each chapter explores one of the five poetical books. Estes first summarizes some of the book's key issues. He then devotes the main portion of the chapter to an exposition of the book, interacting with major commentaries and recent studies. Each chapter concludes with an extensive bibliography, allowing for further exploration. Following in the tradition of Handbook on the Pentateuch (over sixty thousand copies sold), this valuable resource will help pastors, students, Sunday school teachers, and Bible study leaders better understand the overall flow of each poetical book.